Former Brazil coach Mario Zagallo believes Neymar must mature and has urged the Barcelona attacker to start behaving like the leader of the national team. The 24-year-old hurt Brazil’s chances at last year’s Copa America in Chile as he lost his cool in the group-stage defeat to Colombia, resulting in a four-match suspension that ruled him out of the remainder of the tournament. Neymar also missed the World Cup qualifiers against Chile and Venezuela due to the ban, only to then pick up two bookings in Brazil’s next three qualifiers, leading to another one-match suspension. Zagallo believes Neymar has the potential to become one of the best players in the game, but is adamant the attacker must behave more professional. 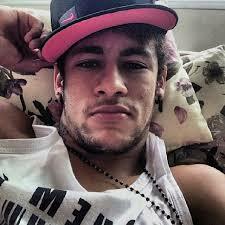 “I like Neymar a lot. He is an exceptional player and he’s got everything it takes to go on even further,” Zagallo told Extra. “But he needs to develop an awareness that he’s leading the Brazilian national team. Neymar was spotted in a nightclub after Brazil’s disappointing 2-2 qualification draw with Uruguay last month and Zagallo feels he must improve his off-pitch antics, too. “These are the sort of problems which we can’t be having,” Zagallo added.